Diamonds in the Rough : 5 Thoughts On How To Thrive As A Busy Mama! 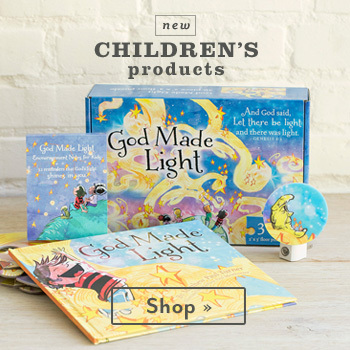 AND This Week's Link-Up! 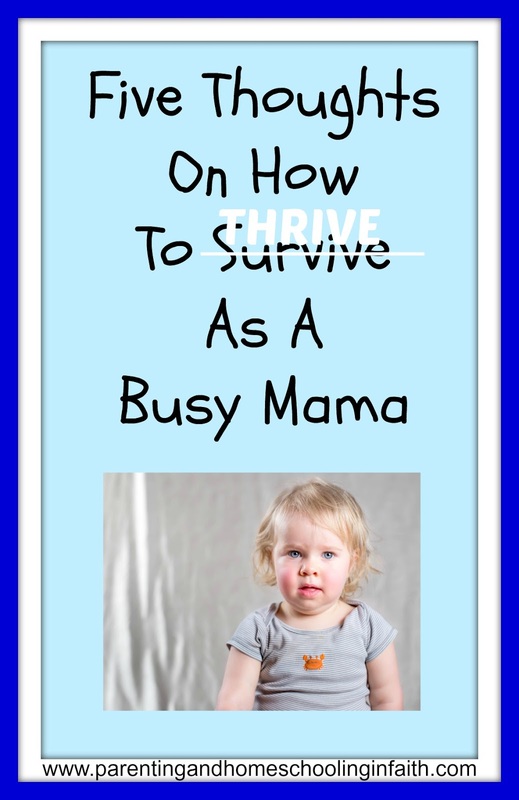 5 Thoughts On How To Thrive As A Busy Mama! AND This Week's Link-Up! 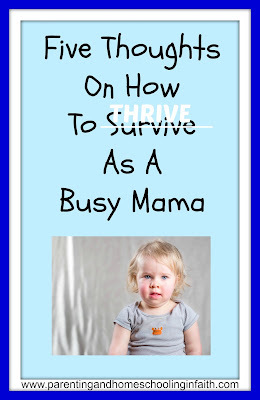 Thrive As A Busy Mama!!! "I don't feel like I have enough hours in the day..."
"It's like I'm just treading water..."
"If I could simply clone myself...."
These are all thoughts I've had in the last six months. I had them while pregnant with our 6th blessing, and under a lot of personal stress. & after giving birth, and then through a difficult time nursing. Parenting is not for the faint of heart! ARE a blessing, and they ARE our heritage. They will BE our legacy when we've gone & left this world. that we've lovingly spent investing in them. I finally feel like I'm returning to my 'normal' self. Organization has helped me move from survive to thrive in MANY seasons of motherhood. After having our sixth baby, I began to feel like our home was too 'cluttery' again. So I went back to my old routine & began to set the timer. 15 minute increments of extra cleaning on days that I'm able. Not everyday, but only on the days that I can. I also do some extra sorting & get a box or garbage bag for the stuff I'll donate. A bag for the stuff designated as garbage. Easy peesy! Many moms (that I informally surveyed on a Facebook) said the same sorta thing. They all agreed that to really thrive as a Mama, you must find your OWN system of organization & 'own' it! I also did another meal plan for our family. Although in honestly we aren't following it religiously yet, however it gave me some tasty suggestions that I've been using over & over again in this crazy busy season. Less stress right away. You can even use paper plates in the REALLY busy seasons. I do. Organizing our schedule has always been a 'must' in our busy house of eight. All pre-scheduled events go on the fridge calendar. It's where everyone can see it. Everyone learns what can be negotiated and what has to be planned around. It helps keep me sane! clothes, books, cupboards, storage, bills & paper, etc. This has always given me that 'fresh' feeling as well. It's worth the minimal time invested! Whenever life feels like you're on the merry-go-round, it's time to stop & get off the ride! Sometimes all that is needed is a few hours spent quietly at home (while baby/tot sleeps & others are safely occupying themselves) to feel good as new. An older mentor once advised me in an another previously harried season that I should simply get more sleep! I agreed with her & tried to do so. ...we can make things so complicated, can't we? Hubby & I both realize the importance of this aspect of parenting. The downtime. He is very good at offering to give me a few hours break so I can recoup. I am very grateful for that. Every night when the kids are in bed I also try to take at least a few minutes (sometimes much, much longer!) to read, write, create, and think through my day (what went well & what's coming up tomorrow). It helps me to unwind & let the stress levels fall. NOTE: if you're in a situation where you're unable to do this any of these (single mom, husband not around or not helpful), then consider trading off with a trusted Mama friend...or (on occasion) using a good clean movie that the kiddos can watch while you have some 'think time'. A lot of stress can be accounted for by letting things remain 'undone' or in chaos. Case in point, your budget may be floundering, or your children may be needing extra help on their school work. Simply sitting down with a handy budget program or enrolling a tutor (you could even trade off to save money!) can fix those stresses in a short period of time. Wherever the family is lacking balance, it needs to be evaluated and fixed. The biggest lie us Mamas believe is that if we procrastinate on something, it'll get better! This is simply not true, and many things left untouched can actually get progressively worse. It would be far better to pray about it, consult wise counsel who us knowledgeable on the matter, and then take simple steps to 'attack' the matter. A simple example --> In this season I've felt overwhelmed with my social media usage. Specifically it's been having my cell phone on, while the kids are around. Hubby & I decided to lower my phone data pkg. 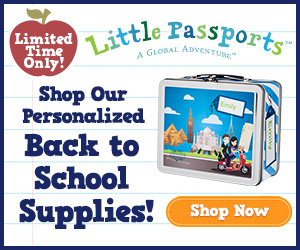 We knew it would help me stay accountable to the amount of time used while with the kids. It also has lowered our phone bill! So decide what is unbalanced, and then go to town attacking the issue. As cute & important as our children our, I hate to break this to some of you...but they will one day LEAVE the nest!!! That thought sometimes seems scary (I will miss them sorely) however, I do know that this WILL happen. Hubby & I will be left looking squarely in the face...for better or for worse, right? Marriage is not always easy. For some of us it may be a walk in the park; but for others, it can be much tougher to get ourselves synchronized, especially in seasons of great difficulties. However, I've come to the conclusion that 'whatever it takes' must be our mantra...date nights, hanging around other couples who encourage a healthy marriage, counselling if necessary, getting help in the areas that you disagree on. It's another relational investment that I know will pay great dividends, IF we're willing to persevere. Friendships are important as well. Not AS important as the immediate family, but again, having those relationships (if they're healthy ones) will greatly enrich our lives. Invest in them regularly. Phone calls. A quick text or message. A night on the town with other Mamas is always fun! I wouldn't have had this recent breakthrough without my faith in Jesus Christ. Does that mean things are perfect?? And I'm still walking this journey out one day at a time. But I'm learning to let go & move forward. Through prayer, taking time to write & journal, reading my bible (I've found great comfort in the Psalms)...meeting with friends who can encourage me to not give up. Going to receive wise counsel on issues that need to be addressed. All of these things on their own may not have made a huge difference. Together, they have helped tremendously. An encouraging friend is worth their weight in gold! If you don't have one yet, keep looking & praying. But all of us can pray. Or find someone who can help us learn. A church/small group is another great support. Also, a wonderful way to give back & find an area to serve in. Side benefit: it'll model to our children a sense of giving. What are some of the things that you have done to thrive?? Great tips! I have really been trying to get organized. It helps take all the clutter of wondering where everything is out of my head. I get out a couple time a week by myself, and my husband and I make it a priority to go on a date as often as we can. Getting together with other mamas is a huge encouragement.